For the first time in... forever, iPhone 4S commercials are hitting the air with celebrities.... talking to Siri. The Avengers' Samuel L. Jackson is in one spot that finishes with Verizon branding and The New Girl's Zooey Deschanel is in another with the Sprint logo at the end. Given that at least two carriers seem to be involved so far, it's hard to imagine Apple isn't behind them. While there have been some carrier specific ad spots in the past, they've been very specific, often touting network features like simultaneous voice and data (AT&T), reliability and reach (Verizon), or unlimited data (Sprint) and something slamming the competition. iPhone features, especially when the carrier is relegated to branding at the end, are typically done by Apple (and air outside the US with international carrier branding). Unlike previous Siri commercials, the celebrities in these spots actually get their whole heads featured and aren't simply shot from the mouth down (obviously). 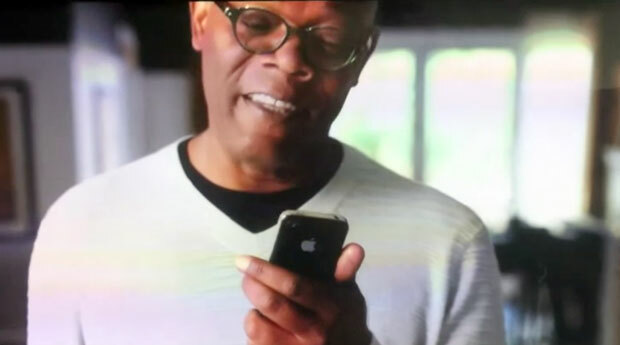 There's a lot of missed opportunities too, with Samuel L. Jackson never asking Siri "where's my super suit?!". So this raises several interesting questions. Are there more celebrity spots on the way? Why would Apple switch gears now and use celebrities anyway? We'll be keeping our eyes peeled tonight in case any other commercials show up -- let us know if you see any. And let us know which celebrities you'd like to see in an iPhone 4S commercial. James Earl Jones would be pretty epic...!